hd00:10Geologist, mining engineer tap a rock formation with a hammer. A man in a light-reflecting waistcoat, gloves and a helmet. Against the background of outcrops of deposits of polymetallic ores. hd00:21hammering with a geologists hammer on stone. 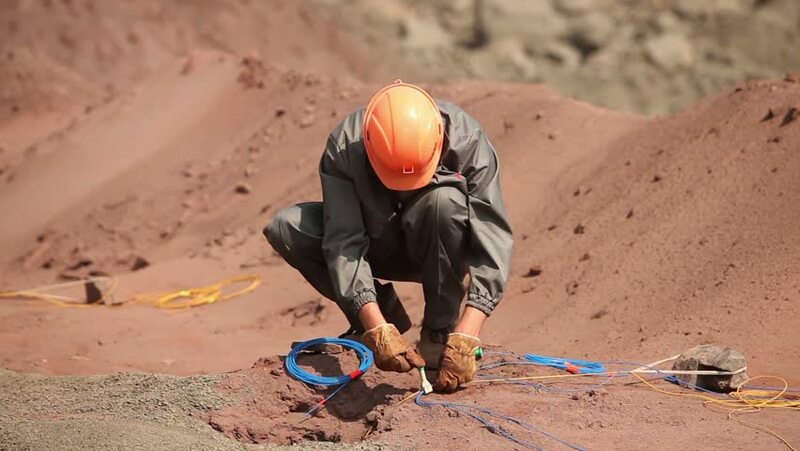 A geologist or a mining engineer wearing protective gloves with a hammer in his hand.